Do you wake up feeling refreshed every morning at our community of apartments in Katy? If your answer is anything but, “absolutely,” we’d like to help you change that. This week’s blog post is all about healthy sleeping habits. The thing about healthy sleep is that you can’t achieve it simply by getting a more comfortable bed or investing in a white noise machine. Healthy sleep starts with your day-to-day habits, be they related to diet, exercise or otherwise. The things you put into your body, and the activities you do with your body on any given day, have a massive impact on your sleep schedule. 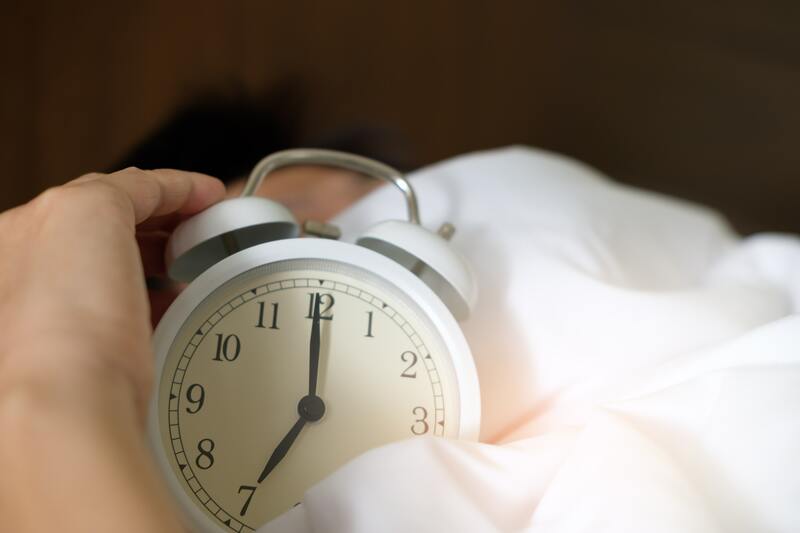 In the blog post below, we’ll be sharing some tips that you can use to set yourself up for a good night’s sleep every night. Our hope is that after you read this blog, you feel like you have the knowledge you need to get quality sleep night after night in your luxury apartment. Without further delay, let’s get right to the list of tips! Oh, and when you’re done reading through this post, please feel free to share it with your friends and neighbors at The Grand — the apartments for rent Katy, Texas residents choose for contemporary comfort and style. Late night workouts might be easier because the gym is empty, but they’re not helping you fall asleep faster. Working out causes your body temperature to rise, but our bodies need to cool down before we can fall asleep. Not only does working out in the morning give your body all day to cool down, but it also resets your internal clock. You’ll wake up earlier to workout, and you’ll be tired earlier at night as a result. Screen time is a killer when it comes to your sleep schedule. It takes your mind about 30 minutes to come down from the stimulation of a screen, which is why it’s hard for some people to fall asleep after watching Netflix in bed. Keep the screens out of the bedroom, and try to turn them off at least a half hour before you want to fall asleep. If all else fails, try taking a cold shower before you hop into bed. The cold water will cause your body temperature to drop, setting you up for an easier transition to sleep. The idea of an ice-cold shower might sound unappealing to some, but the benefits will be worth it when you find yourself falling asleep the second your head hits the pillow. Give it a shot! Those are all the healthy sleeping habits we’ve got to share with you this week, residents! As always, we greatly appreciate those of you who have been coming back month after month to read all the latest blogs from your community of apartments in Katy. We hope you’re able to use some of these tips to get a better night’s sleep every night in your luxury apartment! We’ll be back in November with two more blog posts for our residents. If you feel like you learned something from this week’s blog and you’d like to be among the first to read the next one, please be sure to bookmark our blog page. That way you’ll be able to easily check back when our next post goes up on the site! Until then, you can stay up to date with all the resident events, promotions and giveaways happening at your apartments in 77450 by following The Grand at LaCenterra on social media.